Driving over to the gym tonight after @nzkites finished work, I used my phone to photograph this from the car during a brief pause in the backed-up traffic. Very impressive! Love the light and colours reflected in the water. 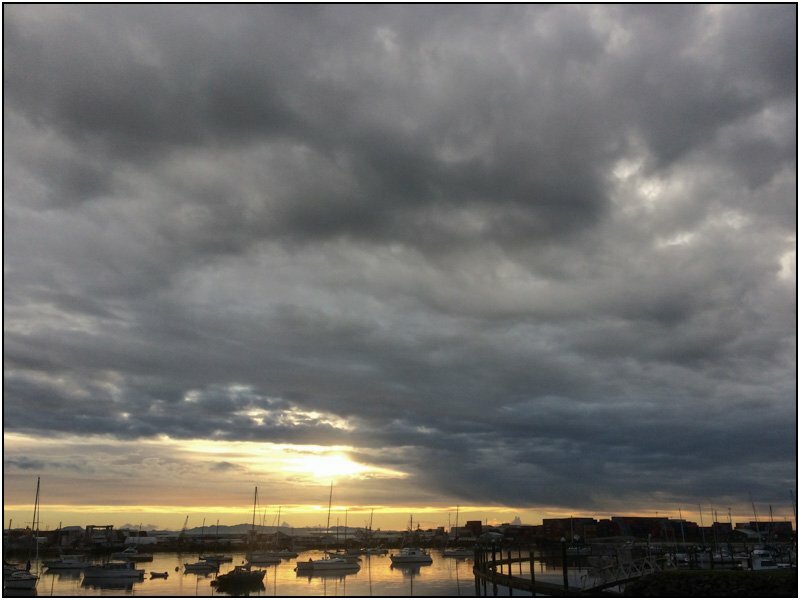 Spectacular clouds, and I love the warm glow on the harbour. The stark gray against the golden sun and harbor is stunning.